Naruto 580 Spoilers Quotes:Naruto 580 Trivia: When it was first shown, Itachi’s Susanoo had five fingers on its hands. Recently however, it has a total of six fingers per hand instead of just five just like Sasuke’s and Madara’s. page 2. as itachi rushes over, v‭lent wind vibrations interupt his concentration. page 3. sasuke and itachi are paralyzed by the wind vibrations, but since kabuto can liquefy his body, he can still move. page 4. kabuto goes after sasuke first. page 5. itachi movements throw kabuto off-kilter. page 6. itachi explain that he already know where kabuto going to attack, so he can guard properly. page 7. kabuto jumps onto the ceiling. 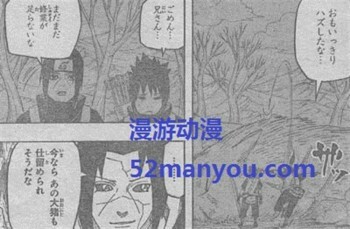 page 8. itachi tells sasuke to remember the plan they used when they went on a mission together. page 9-11. sasuke remembering hunting a huge boar as the puts the plan into action with hisbrother. page 12-13. sasuke thinks he has kabuto, but then is shocked to see kabuto off to the side stabbing itachi. page 14-15. itachi’s body splits into crows and then regroups. 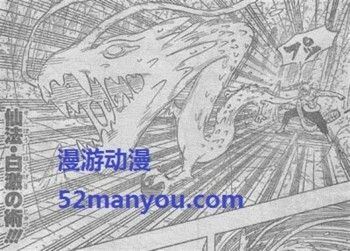 Naruto 580 Spoilers at mangabox.wordpress.com will out on Tue or Wed. If you like discuss the naruto ナルトネタバレ 580 please leave a comment bellow. Please be patient.